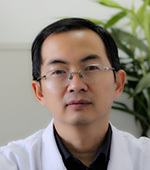 Dr. Yu serves as Deputy Director and Investigator at the Peking Hospital Geriatrics Research Institute. He is also Editor-in-Chief of Peking Hospital’s periodic journal. He is Chair-elect and a standing committee member of the Chinese Society of Geriatrics of the Chinese Medical Association; he also leads the Infectious Disease Unit of the Society. Dr. Yu holds leadership roles on the editorial boards of publications including the Chinese Journal of Geriatrics, the Chinese Journal of Epidemiology, the Chinese Journal of Clinical Healthcare and Geriatrics and Healthcare. Dr. Yu’s research interests include common diseases of the elderly population and their prevention, geriatrics care models, survey and analysis of the senior population’s quality of life, fall prevention for seniors, and frailty and incontinence of seniors.